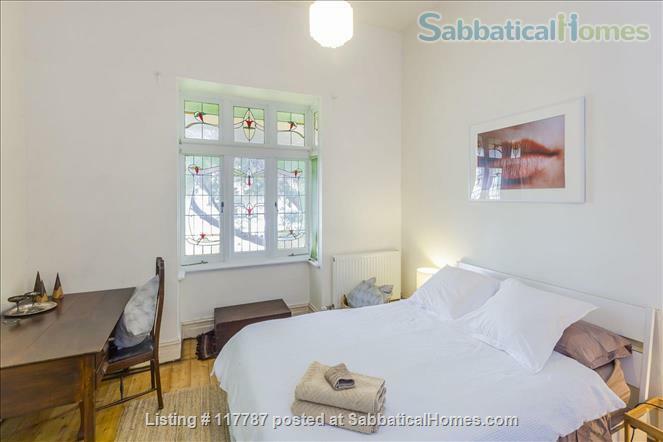 Cool cosy retreat in the heart of Fitzroy - walk to Melb Uni, RMIT, ACU. Unlimited Wifi. Utilities included. A cocktail bar or live music? The finest cafes & dining? A walk in a choice of Melbourne's best parks? All of this at your doorstep! A dreamy bed. A quiet, small and lovely retreat in Napier St - a famed, tranquil tree lined street close to all the action. 1 min walk to bike hire. Enjoy the gardens, the Museum, shopping, walk or tram to CBD & Sports Centres. The apartment is on the top floor of a small block of units (18 in total). My studio apartment (approximately 32m2) is tastefully decorated and has a large window overlooking trees which gets lovely light. Please note: for stays longer than a month a cleaning and linen change over will need to be negotiated. I have found that in the past for longer stays, the cleans at the end can be quite arduous, so it's best to upkeep during a stay. Obviously to have someone who appreciates keeping a home clean would be an ideal tenant! Location is everything when it comes to this cosy Fitzroy private rental in the coolest hub in town. Spend your time in Melbourne in the heart of the place to be! Nestled in a quiet tree lined St you will be only 4 mins drive from the centre of this fine city of Melbourne! Famous Getrude St is a few metres walk (an iconic street of Melbourne with cafes, bars and shopping). My street is parallel and walking distance between the famous Brunswick St, Fitzroy and Smith St, Collingwood. Walking distance to all of Melbourne 's major events and attractions, as well as walks under 5 mins to 3 of Melbourne's major hospitals. Natural light, a leafy view, and facilities one could need on a short or long stay (including a coin operated Laundry on the second floor). Entry is via a security gate and a security door. My name is Julia and I'm a musician/ singer. I am happy to let you know of my favourite haunts for that nice glass of red, or much needed Melbourne Latte! Includes: New Queen Size bed, Leather Sofa, bathroom with shower, dining/desk, TV, unlimited WIFI, Linen included. Basic Kitchen facilities for short stays - 2 electric hot plates, sink, small rinnai oven, toaster, fridge, kettle, cutlery, mugs, plates, microwave, glasses, pots, pans etc. As a born and bred Melburnian who has traveled to many major cities on the globe - I cannot speak more highly of this location and I promise it won't disappoint. Situated just on the edge of the city (4 min drive or tram ride) in fabulous Fitzroy - this cosy apartment offers a quiet retreat amongst the hustle and bustle of all this fabulous city has to offer. Ideal for those in need of study time. The street is beautiful and leafy. In less than 3 mins you can walk to the famous Fitzroy gardens housing the Melbourne Conservatory. A lovely walk through the infamous Carlton Gardens to Melbourne Uni and RMIT. Less than 1 minute walk to a choice of 2 trams. Enjoy the many bars, cafes and restaurants that the immediate area has to offer. Live music and a famous Melbourne latte - eclectic haunts and op shops, local art galleries. "This was a great place to stay for 5 weeks. I could walk to the University of Melbourne campus, to RMIT and to downtown – all in 20 minutes or less. There are two tram lines to downtown or the inner suburbs within 2 minutes of the door and I was right beside plenty of cafes and restaurants to eat, as well as stores to buy food if I wanted to prepare something simple in the apartment. The apartment is small and compact, and really easy to keep clean. Julia was a great host, helpful, friendly and always easy to contact if I needed. My one regret is that I missed her jazz concert at the Melbourne Recital Centre. If I am ever lucky enough to return to Melbourne for the same period or longer I would stay in the same place in a heartbeat. Tony Bebbington, Professor, Clark University, USA and University of Manchester, UK"
Closest University Australian Catholic Uni, RMIT, Melbourne Uni - all close.